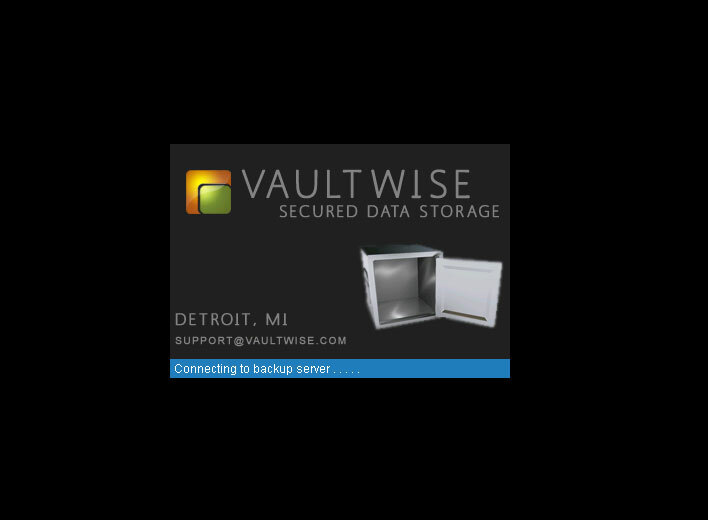 Vaultwise™ Corporate Backup is cost effective service and requires no new hardware purchases. It can be customized through a variety of options including chronological versioning, and a web-based console. You can even manage multiple servers with ease from a single account. 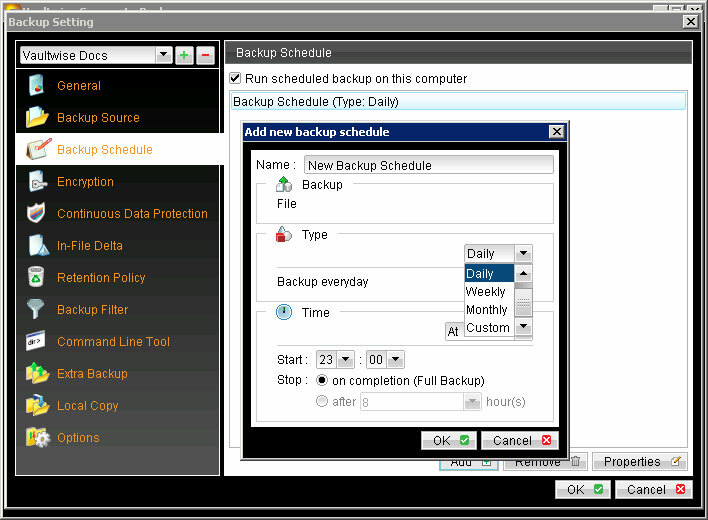 You define the backup schedule, and Vaultwise™ automatically takes care of the rest. Data is zipped, encrypted, and then securely transferred to Vaultwise™ using Secure Socket Layer (SSL) over Port 80 or 443. Files can be saved as frequently as every minute. Emails notifications are sent daily with backup status. Vaultwise™ is optimized for low impact on your hardware performance. Instead of uploading the full file Vaultwise™ identifies what pieces of the file have changed, and transfers this smaller piece. Incremental backups require less bandwidth than transferring the whole file and allows for file versioning in reduced space. Vaultwise™ supports all leading operating systems that can execute Java2 Runtime Environment 1.4.2 or above. This includes essentially all operating systems: Windows, Linux, Mac, NetWare, NAS devices, and more. 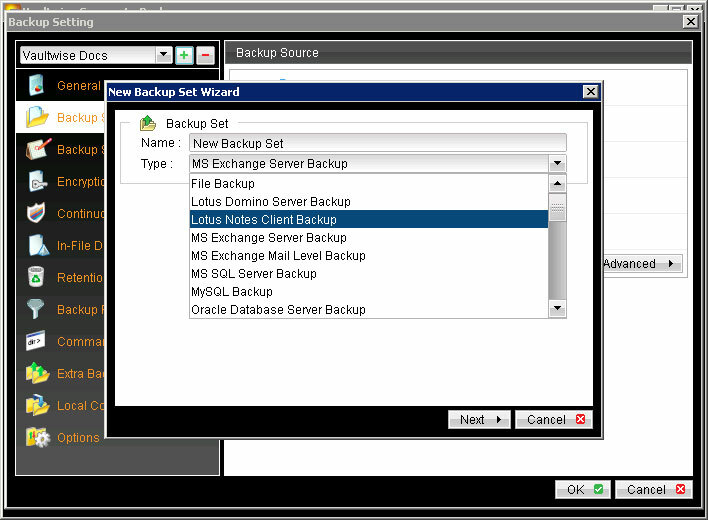 Vaultwise™ is application aware and can backup common databases with a single click. Others are also supported with the use of our pre-backup command line tool. Windows 95/98/ME/NT/2000/XP/2003, Linux Kernel 2.2 or above (e.g. Redhat Linux 6.x or above), Solaris 2.x or above, Mac OS X, Netware 5.1 or above, and all other platforms supporting Java2 Runtime 1.3.1 or above. We charge a flat monthly fee based on storage requirements. 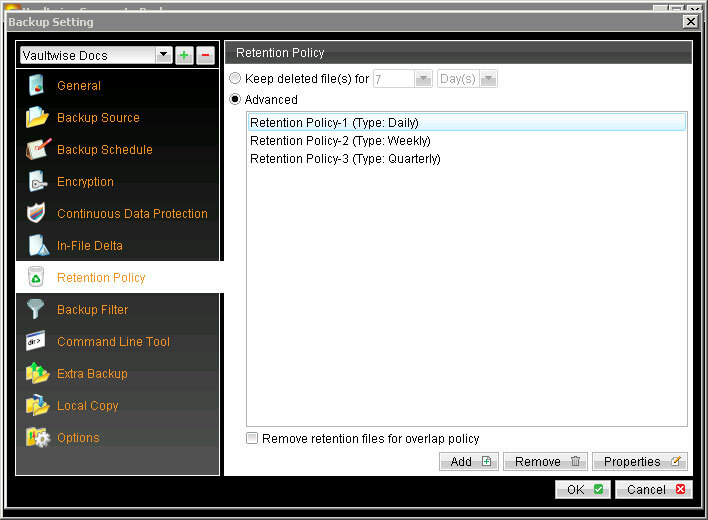 There are no hidden costs for data restoration or bandwidth usage. To provide the most accurate quote we ask you fill out the short form linked below. You will receive a quote response within 24 hours. Copyright 2003-2017 VaultWise, a division of Utropicmedia, LLC. All Rights Reserved.